Our award winning Posture Brace has been developed in conjunction with the London Spine Clinic, Harley Street. Specifically designed for your upper and middle back, the Posture Brace helps to improve posture, prevent slouching and relieve pain. Used as a training device for a few hours a day over a couple of weeks, you will begin to see a improvement in your posture. As your body becomes accustomed to your new, natural, correct posture you will no doubt feel taller, more confident and healthier. Over time, you will find that you will retain this posture and experience less pain, even when you are not wearing the brace. The material used for the Posture Brace is not only breathable, lightweight and comfortable, but most importantly, it is very discreet. The designers have used the perfect colour tones of light greys and blues so that the brace is unnoticeable and cannot be seen through items of clothing when being worn directly on the skin. How long should I wear the Posture Brace for? We recommend wearing the Posture Brace for a few hours a day to help gradually improve your posture and relieve pain. 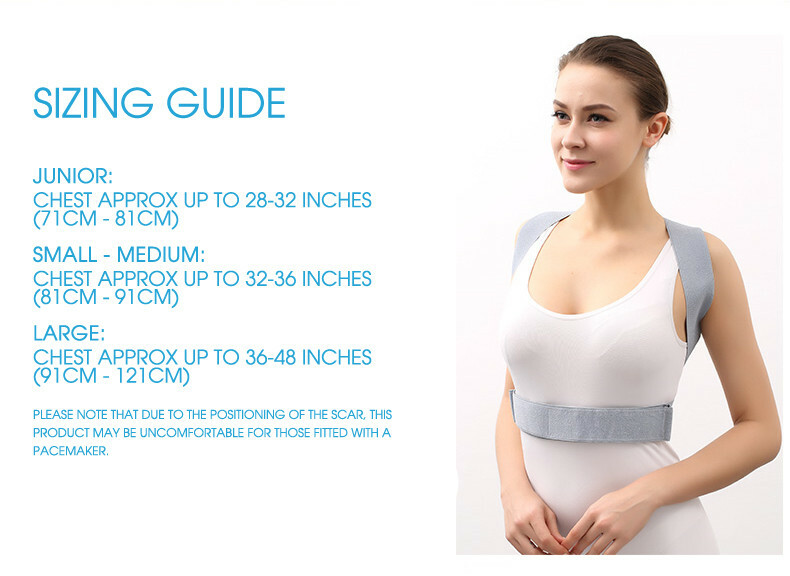 Our Posture Brace sizes are based on your chest measurement. Please measure yourself and choose your size based on our size guide. Can I wear the Posture Brace while I sleep? In the box you will find the Posture Brace plus instructions to help you fit and wear the brace correctly. We currently have 3 sizes available; Junior, Small-Medium and Large. 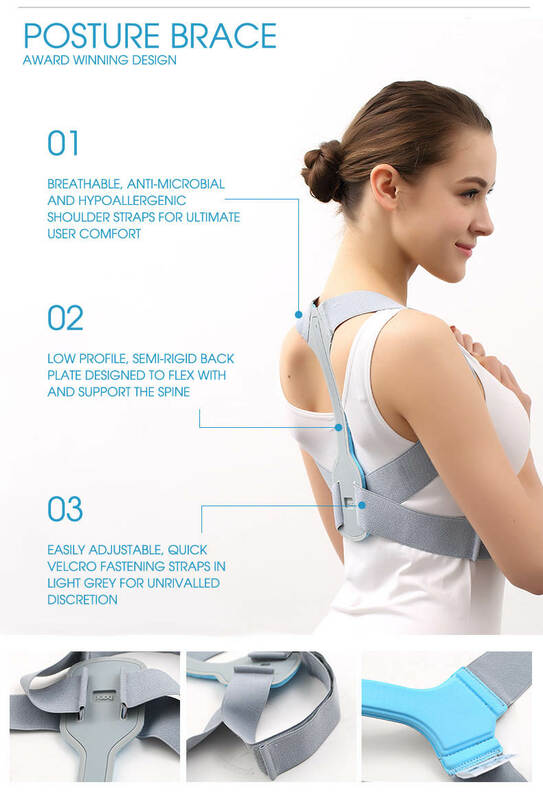 If you need to extend the size of our large Posture Brace, please contact us at enquiries@backpainhelp.com and we may be able to help. How can I wash the Posture Brace? We recommend washing the Posture Brace by hand with a warm damp cloth. The hypoallergenic, antimicrobial fabric used in the brace keep it feeling and smelling fresh over long period of use.